Aruba is hardly what you might call a famous name when you think about holiday destinations in the Caribbean; we think that’s a real shame. Part of the ABC Islands (with Bonaire and Curacao providing the latter initials), it is tucked away in the south of the Caribbean, looking on the map more like an extension of Venezuela than a nation in its own right. This location, close to South America, is a big part of what defines Aruba, but it also provides a genuine contradiction for your expectations. That’s because Aruba is a former colony of the Netherlands. This becomes immediately obvious when you hear Dutch spoken on the streets and marvel at the cutesy Amsterdam-esque architecture. 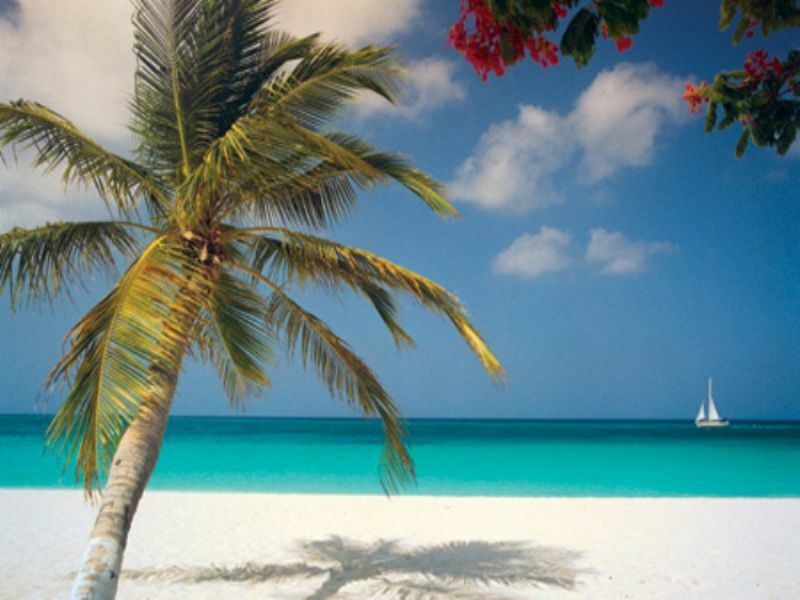 But don’t go expecting a ‘Netherlands in the Caribbean’ – Aruba has a distinctive and fascinating culture all of its own. Sitting below the “hurricane belt” and with a 28C degree average temperature, it’s easy to see why Aruba is such a big hit with Dutch and American holidaymakers. However, it has yet to catch on with British travellers – something that will be difficult to understand after a week here. The sun-drenched beaches are tempered by mild Atlantic trade winds making sun-bathing here a very comfortable experience. This is a good thing too, as the beaches are not to be missed. Popular destinations include the areas around Palm Beach and Eagle Beach. These stretches of palm-fringed sand are developed with a number of resorts and boutique hotels, all with modern facilities of a very high standard. Some are all-inclusive, but if you want a real experience of the island, it might be worth choosing a bed and breakfast option like the lovely Bucuti and Tara Beach Resort. Dragging yourself away from the shimmering cyan-coloured water can be a challenge that’s too much for many but if you do, you’ll find a nation filled with hidden treasures. The capital, Oranjestad, is a top choice for some fun. It’s one of the more cosmopolitan areas of the Caribbean with a wide variety of restaurants, bars and clubs catering to every taste. There’s plenty of interesting shops too – but be warned that Aruba is far from a cheap shopper’s paradise. Arikok National Park, which takes up nearly a quarter of the island, offers an alternative to days at the beach or the city. With a huge host of natural attractions including rare, indigenous wildlife and miles of beautiful landscape, it is a perfect place for nature lovers. Go on scenic hikes or horseback rides to make the most of it. Remember, Aruba is very small island; while it’s not a practical reality, it would be possible to walk around the entire coast in less than a day. That means that excursions to the different areas are not just fascinating and worthwhile, they’re easy to do too. More information and to book: Famous for its miles of scenic beaches and year-round sunshine, Aruba is alive with music, fun and energetic charm. Tropical Sky's Mags Longstaff says: "Whilst the island is fairly rugged and at first glance can seem sparse, this brings with it a great range of options for the more adventurous from jeep safaris, horse riding, mountain biking and hiking in the Arikok National Park to snorkelling, kite surfing and sailing in the stunning turquoise Caribbean waters. Add to this a good range of more sedate island sightseeing options and excellent duty-free shopping and, to coin an often overused phrase, there really should be something for everyone."